April to September is The Norwegian whaling season and the latest reports confirm 660 minke whales have been slaughtered. Due to the bad weather conditions “only” 660 were slaughtered compared to a higher number last year (736). Norway sets its own whaling quotas, which since 2006 have increased by 30%. For 2015, the quota is 1286, like the year before and the highest for 25 years. 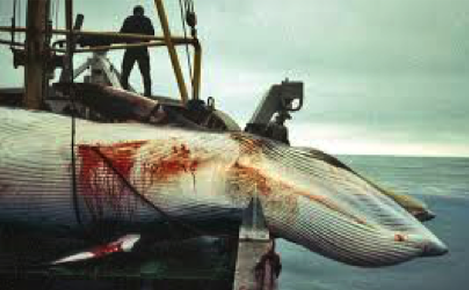 Norway resumed commercial whaling in 1993 and has since killed over 9,500 whales. Despite that, Norwegians now consume less whale meat than previously; Norway is trying to create a bigger market for its whale meat including selling it to Japan and other countries. However, some of that meat was recently dumped by Japanese officials after routine tests revealed that it contained up to twice the allowed level of potentially dangerous pesticides. 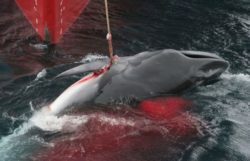 Tests from Japan Ministry of Health, Labour and Welfare shows that the whale meat from Norway contains levels of harmful pesticides, including aldrin, diedrin and chlordane, that violate human health standards and can cause birth defects, neurological harm, and some cancers if humans consume them in high quantities. And it’s not the first time Norwegian whale meat is in focus for health concern, also in 2009 it got rejected from Japan because of a too high level of live bacteria. 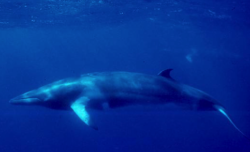 The hunting of minke whales was reduced from the 1960’s to the 1990’s as the minke whales were considered too small in size to hunt. 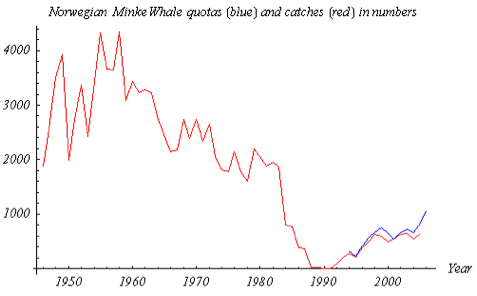 But since 1990, minke whale hunting has been accelerating again since other bigger whale species are over hunted. Minke whales usually live for 30–50 years; in some cases they may live for up to 60 years…only not if they pass by Norway! Since mid 1990, the decline in whale populations around the world prompted an international moratorium on commercial whaling that came into effect in 1986. Under the moratorium, whaling is legal only under a scientific research permit or with an aboriginal subsistence whaling permit. Despite the moratorium, nearly 40,000 whales have been slaughtered in the past 27 years. AWI (animal welfare institute) and EIA (environmental investigation agency) have called on Norwegian Government to stop supporting the whale hunt and accept the international bans on commercial whaling and trade in whale products. There are five remaining countries that continue to hunt,sell and eat whale commercially: Norway, Japan, Greenland, the Faroe Islands and Iceland and each country ignores the worldwide ruling against this activity! Norwegian whalers kill the whales with harpoons, a technology which hasn’t changed much the last 100 years. Due to visibility, sea swells and the movements of the boat it makes it nearly impossible to ensure a shot accurate enough to kill the whale immediately. The Norwegian government’s own official data shows that at least one in five whales do not die straight away and therefore suffer long and agonising deaths!